It is very hard to find passionate people. When you come across one, it needs to be marked as special. This is one of those times. Gloria Phelps is the coordinator at 50 Rock, a Peoria Park District programming initiative that delivers fun and adventure to Peoria's young, active adults over 50. Very passionate about activities for the Baby Boomer generation, Phelps works to provide programs and space to encourage a vibrant and active lifestyle. Gloria's passion for older adults is infective. 50 Plus offers a variety of programs across interest and activity realms. From fitness and dance classes to skill building computer classes to active adventure in music and arts, Phelps's desire to help older adults build engaging lifestyles. This could not come at a better time. More and more Boomer adults are retiring and shifting into a life filled with free time. Some of the fitness offerings at 50 Rock include Yoga and Fun and Fit. Yoga offers traditional experiences that work to "harmonize body, mind, and spirit" while improving muscle tone and flexibility. Fun and Fit offers low impact cardio and incorporates tools like weights, bands, and balls to keep the energy shifting while strengthening and toning the body. Another terrific program introduces the Hula Hoop as a fun fitness tool. The total body workout incorporates weighted hoops and pilates movements to build a trimmer stronger body. 50 Rock even offers Tai Chi! This class teaches a beautiful and flowing sequence of movements that stretch and turn the body. It is designed to introduce many benefits to the body through reduced tension, improved circulation and balance. There are walking and hiking programs on the docket both at Lakeview Museum and Forest Park Nature Center. These opportunities start with stretches and warmups readying the body for a safe physical experience before exploring the outdoors. These programs are held as the weather permits. When the weather does break, warmer activities and excursions will even bring opportunities to canoe! But the best activity is the one called Pickleball! Even tho many have never heard of it, Pickleball is the fastest growing sport in the US for adults age 50+. 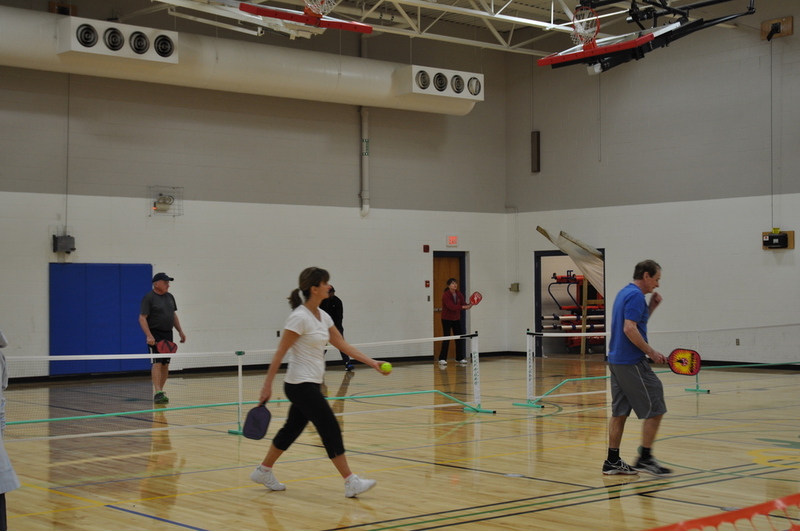 Combining elements of badminton, tennis, and table tennis, Pickleball gets participants pumped as teams, singles, and doubles compete for the win. Equipment is rentable. Classes are held in many different venues across Peoria including the Franciscan Rec Center, Lakeview Rec Center, Methodist North and Lower Glen Oak Park. More information can be found on the 50 Rock website (http://www.peoriaparks.org/50rock) or pick up a class list through the Park District.